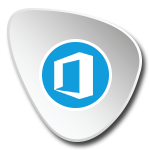 Easily manage, restructure, report and protect your Office 365 instances from one dashboard. Networklife Group simplifies Office 365 administration of users, permissions, site elements, and content, as well as provides item through platform backup and restore capabilities. Networklife Group Online helps compliance and security officers minimize risk of privacy violations, malicious threats, or unintended data leakage for web applications, websites, and cloud platforms.